Hasty destruction of planned economy and financial system in 1990-s in Russia, carried out without a well-planned transition period to market economy, led to a devastation of domestic industry, agriculture and science. By late 1990-s it paved the way to undermined defense and security, to genocide of the people (in a veiled form, of course), and in the end to a collapse of Russia’s statehood. All this happened at a time when the efforts of the unskilled “reformers” and their “advisors” led to chaos, and in the higher echelons of power lawlessness reigned. At the same time the countries of the capitalist world with developed market economies, learned from the experience of planning in the USSR and utilized it for their own development, as the prosperity of a civilized society is impossible without long-term economic planning. This is particularly important during a financial and economic crisis. A specific example of an elimination of a modern defense industry company, carefully planned by an organized crime group (OCG) and an organized group of corrupt officials (OGIO) is the premeditated bankruptcy of Salut JSC (formerly “Volgodonsk plant of radio-electronic equipment” OJSC or VZRTA OJSC), which produced special items for radio-electronic warfare and reconnaissance for surface ships and submarines of the Russian Navy. Concern YACONTO JSC owned 67% share in this company. In late 1991 the Head of Administration of Rostov region Vladimir Chub appointed Vladimir Khizhnyakov Head of Administration of Volgodonsk city. Prior to this assignment Khizhnyakov was the head of production at the state defense enterprise “Volgodonsk plant of radio-electronic equipment”. 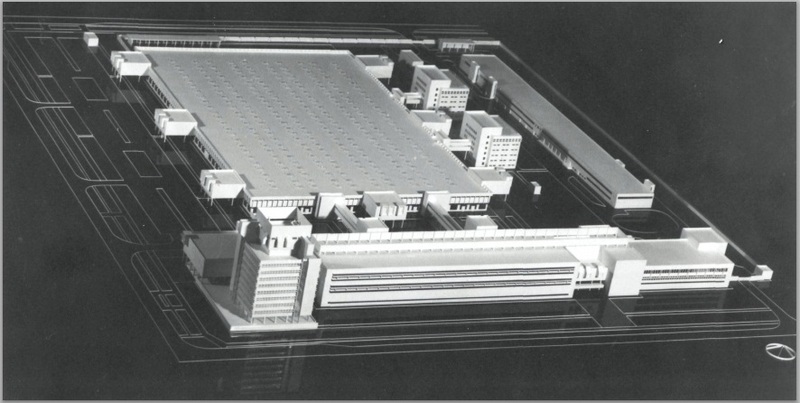 In early 1992 Khizhnyakov promised to Firm YACONTO SE (Moscow) full support and assistance of the Administration of Volgodonsk if the Firm creates an industrial complex for mass production of civilian goods on the areas of State-Owned Enterprise VZRTA. His statement about administrative support from the local authorities became the basis for the deployment of financial and material resources in Volgodonsk by YACONTO enterprises of Russia and their business partners. Unfortunately, all Khizhnyakov’s promises turned out to be cynical deceit, but it became apparent too late. Vladimir Chub, utilizing his “special support and appreciation” in the Presidential Executive Office and Russian Government, subsequently established a patronage of his authorized representative Vladimir Khizhnyakov, who was appointed Plenipotentiary Representative of the President of Russia in the Federation Council of Russia on 29.01.2000. Detailed information can be found in the Statement of Concern YACONTO JSC (out. №21-2-PKYA from 21.02.2000) to the Acting President of Russia Vladimir Putin, Chairman of the State Duma Gennadiy Seleznev and the Chairman of the Federation Council Egor Stroev. In 1992, Firm YACONTO SE and its affiliates, together with Russian companies renowned in the world, established YACONTO CJSC in Volgodonsk city for the mass production of civilian goods. And that’s amidst economic and political crises raging in Russia. YACONTO CJSC rented unused industrial areas of State Owned Enterprise VZRTA. Being the landlord, SOE VZRTA was also the co-founder of YACONTO CJSC. YACONTO CJSC created one of the first non-state industrial complexes in Russia for mass production of low-power induction motors mark 4AM80, 4AMAT80 and their modifications (0.75–2.2 kW) on the leased areas of the defense enterprise. Such motors are actively used in different industries of production and agriculture, in particular, for various machine-tools, construction equipment, utilities, oil and gas industry, manufacturing, light industry and food industry. 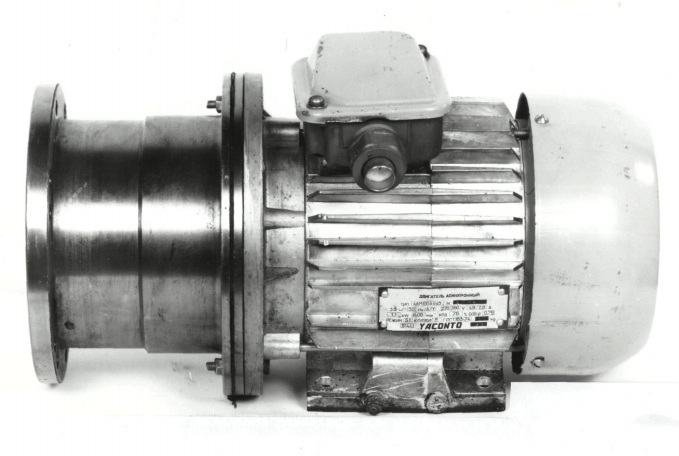 In addition to technology equipment for the mass production of motors, Firm YACONTO SE (LLP) and its affiliates have purchased and provided to YACONTO CJSC modern (at the time) production equipment with utensils and technical documentation for production of goods out of plastics and nonferrous metals. This equipment has also been deployed on the areas of SOE VZRTA. In 1994 Firm YACONTO LLP purchased a 40% share of VZRTA OJSC (successor of the state-owned enterprise VZRTA). By then, workshops of this industrial complex owned by YACONTO companies were already involved in the production of civilian goods, and primarily the induction motors which were otherwise imported to Russia from foreign countries in vast quantities with the complicity of corrupt officials. Promises of the leadership of Rostov region and Volgodonsk city to support domestic manufacturers turned out to be nothing but bluff and deceit. Moreover, they initiated a redistribution of property in the region, using raider seizures and loan strangulation in order to paralyze economic and production activities of the companies. Salut JSC shared the same fate – even despite the fact that the enterprise has been producing defense products in compliance with the Russian Agency for Control Systems (RACS), executing the Resolution of the Government of Russia №879 from 30.07.1999 and was included in the Register of companies (Attachment №2), for which RACS deployed same State policy for development, production, repair and disposal of the production of military and civil purposes. Absence of contracts for the production of special items for Russian Navy could result in a termination of VZRTA OJSC, therefore, production of civilian goods was the only way to save the defense enterprise. Management of YACONTO instructed the executives of VZRTA OJSC (renamed to Salut JSC) to build up the mass construction of civilian goods and to preserve the mobilization facilities for the production of defense items, strictly forbidding to sell them. The executives were instructed to drill wells to provide independent water supply to the plants and complete the construction of several apartment houses for the staff of VZRTA OJSC (including former employees of the state-owned VZRTA), as well as to transfer the building of the vocational school for the training of qualified personnel for industrial enterprises of the city, which was being financed by VZRTA, to the administration of the Volgodonsk city. Intentional bankruptcy of Salut JSC has been facilitated by OCG participants, who sold for a pittance not just the property of Salut JSC, including its mobilization capacities, but also the illegally seized equipment and design documentation belonging to YACONTO companies. By the end of the 1990s, defense enterprise Salut JSC was left without State contracts. In the situation where the volume of special production for Russian Navy ships amounted to 98% of the total production of the enterprise, creating a mass production of civilian goods for the consumer market created conditions for the business to survive and retain its defense capabilities. The intentional bankruptcy of Salut JSC was initiated in 1998 by Tatiana Gramotenko – the head of the Territorial agency of Federal Agency for insolvency (bankruptcy) proceedings in Rostov region. Being a special confidant of Chub, Governor of the region, she carried out his policy that was aimed at mass bankruptcy of major industrial and defense enterprises. Under Tatyana Gramotenko’s “leadership”, the Territorial Agency of FOIP in Rostov region deliberately bankrupted 300 large companies; this fact has documented evidence. However, Tatyana Gramotenko managed to avoid an investigation of her criminal activities due to her high patronage and a hasty liquidation of the Territorial Agency of FOIP in Rostov region in March 2002. Sergey Chesskiy was the key figurant-executor of the premeditated bankruptcy of Salut JSC. Having been the Deputy Director of Economics of the state defense enterprise “Volgodonsk plant of radio-electronic Equipment”, since 1992 Chesskiy deliberately raised the tariffs for public utilities and other services for the industrial complex created on the leased premises of SOE VZRTA and belonging to YACONTO CJSC, where SOE VZRTA was the co-founder. This is confirmed by the calculations which Sergey Chesskiy published in an article entitled “Energy: new prices”, in “Impulse”, the newsletter of the workforce team of “Volgodonsk plant of radio-electronic Equipment”, (outgoing №14 (117) from 16.04.1993). Besides, SOE VZRTA never made its founding contribution fee to the authorized capital of YACONTO CJSC. When Firm YACONTO purchased 40% stake in VZRTA OJSC on an auction, Sergey Chesskiy began to actively oppose Firm YACONTO in entering the legitimate rights of the owner and in obtaining requested documents on the economic activity of the SOE and its successor VZRTA OJSC. And as it turned out, Chesskiy had very serious concerns about providing that information. With the direct involvement of Sergey Chesskiy, loan contracts have been signed between December 1993 and August 1994. Under those contracts, loans at 153–213% annual interest were taken in “Volgodonsk Gorkombank”. The State representatives, shareholders and even the Board of Directors of VZRTA OJSC did not know anything about those loans. And although the total amount payable has been insignificant in comparison with the asset value of VZRTA OJSC (renamed to Salut JSC in 1996), this very amount together with the cumulated interest on the loan became the basis for the commencement of a bankruptcy process of Salut JSC in 1998, personally initiated by Tatyana Gramotenko, the head of Rostov regional Federal Office of Insolvency (Bankruptcy) Proceedings. 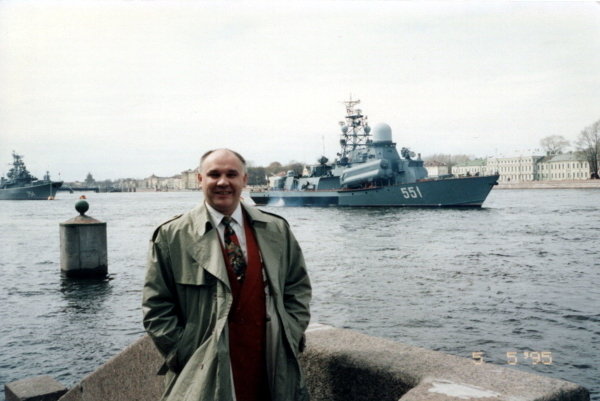 In late 1994, when Sergey Chesskiy was fired from VZRTA OJSC, the Head of Administration of Volgodonsk Vladimir Khizhnyakov took him as his Deputy of Economy, as Vladimir Khizhnyakov also used to work on SOE VZRTA as a head of production and therefore knew Sergey Chesskiy as a cynical hypocrite and was fully aware of his unprincipled sense of duty and sordid nature. Once in the city Administration, the “helper” immediately started setting obstacles and sabotaging the VZRTA OJSC’s economy and production. Detailed information is set forth in the Statement of Concern YACONTO JSC (out. №21-2-PKYA of 21.02.2000) and other documents published on www.yaconto.ru and www.yaconto.com. Under the pivotal Contract with Salut JSC (out. №66 from 12.02.1999), Academy of Defense Industry (ADI, Moscow) developed a “Program of restructuring of Salut JSC at the stage of external control”, which contained a detailed Plan of external management of the enterprise. According to the Resolution of the State Institution “Republican Research scientific consulting center of expertise” (SI RRSCCE, Moscow), Ministry of Science and Industry of Russia and the Russian Ministry of Education (ref. №188 from 18.06.1999): “The reorganization plan is adequate, achievable quickly and effectively solves the problem of financial recovery and restoration of the solvency of the enterprise”. Program developed by ADI has been fully approved by the Department of Radio-industry and Communications of the Ministry of Economy of Russia, which supervises defense enterprises of the country. However, on 25.05.1999, the Arbitrary Court of Rostov region, having referred to a “personal opinion” of Tatyana Gramotenko, the head of Rostov regional Federal Office of Insolvency (Bankruptcy) Proceedings, violated the law by refusing to review and approve the Reorganization Plan of defense enterprise Salut JSC, despite the fact that the plan has been supported by all stakeholders: all creditors, including current creditors, Department of Radio-industry and Communications of the Ministry of Economy of Russia, the employees, the Administration of Volgodonsk and the shareholders of Salut JSC. Rustlers like Sergey Chesskiy were exactly what the state criminal Tatyana Gramotenko needed to organize bankruptcies of more than 300 enterprises of the region. After Chesskiy’s retirement from the Administration of Volgodonsk, Tatyana Gramotenko eagerly involved him into her criminal activities and turned him into an accomplice of an OCG. Under Tatyana Gramotenko’s pressure, the Arbitrary Court of Rostov Region (AC RR) approved the appointment of Sergey Chesskiy, whose actions were directed, controlled and coordinated by OGIO and OCG, bankruptcy trustee for Atommash OJSC. At the same time, Gramotenko pushed AC RR to appoint Chesskiy bankruptcy trustee for Salut JSC as well, which was a brutal violation of the law. Having been illegally appointed the bankruptcy trustee of Salut JSC, Sergey Chesskiy, utilizing the scheme developed by OGIO and OCG, appealed to AC RR with a knowingly false statement that there never is no, and there has never been any leased equipment owned by YACONTO companies on the territory of Salut JSC, and hence, Salut JSC owes nothing to YACONTO. In fact, that particular debt made 92% of the total amount payable to all creditors. But Chesskiy’s statements were sufficient for AC RR to issue knowingly illegal court decisions which led to premeditated bankruptcy of Salut JSC, its liquidation and seizure of assets belonging to YACONTO companies. Existence of high-tech equipment belonging to YACONTO companies on the territory of SOE VZRTA (VZRTA OJSC after its corporatization in 1993) has been officially confirmed by Yuri Cherepovich, the former Director of VZRTA OJSC in his Statements to AC RR from 16.08.1999 and 14.09.1999, which, as well as documented statements of other officials, have been intentionally ignored by the Court. In his Statements, Yuri Cherepovich also informs the Court that Sergey Chesskiy has been his Deputy for economics and personally supervised the activities of YACONTO CJSC from the SOE (OJSC) VZRTA side. The participants of OGIO and OCG who bankrupted Salut JSC used an identical scheme (intentional bankruptcy) to seize the Russian nuclear engineering flagship Atommash OJSC (Volgodonsk, Rostov region), where the State owned 30% share and Concern YACONTO JSC owned 28.5%. This is fully confirmed, in particular, by the Resolution of the College of the Audit Chamber of Russia (out. №6(289) from 22.02.2002), issued based on an appeal from the Russian State Duma (out. №3.11-21/1312 from 21.10.2000). As a reward for his active participation in the intentional bankruptcy and liquidation of Atommash OJSC, Sergey Chesskiy, together with other members of OCG, received an opportunity to purchase a major stake in “Volgodonsk plant of radio-electronic equipment” JSC (VZRTA JSC). Chessky has personally established this enterprise on the territory of Salut JSC (Volgodonsk) which he had illegally bankrupted and liquidated earlier, having seized all of its property including the industrial complex belonging to YACONTO. In its Letter to President Vladimir Putin (№1/1-9-KFYA of 01.09.2000, which was concealed from him) YACONTO LLC claims that the First Deputy General Prosecutor of Russia Yuri Biryukov (currently a Senator in the Russian Federation Council) explicitly covers up the intentional bankruptcy of Salut JSC carried out by OGIO and OCG. First Deputy Chairman of the Supreme Arbitration Court of Russia Mikhail Yukov acted in exactly the same way, of which YACONTO informed the Chairman of the Supreme Arbitration Court of Russia Veniamin Yakovlev in its Statement (out. №1-10529 of 29.05.2001) and the attached Complaint (out. №2-10529 of 29.05.2001). The above proves a tight connection between the OGIO and OCG and the highest management of law enforcement and judiciary authorities of Russia, which allowed them to prevent a large-scale investigation of this anti-state crime. Inspired by their impunity after the lawless seizure of Salut JSC, the members of OCG cynically decided to fabricate a case against YACONTO LLC. They appealed to the Arbitration Court of Moscow (ACM) with a lawsuit to recover the sum of 350 thousand rubles. ACM took up the case number A40-41697/00-100-402. However, during the trial, YACONTO LLC proved wrong the vicious arguments brought by OGIO and OCG, and has filed a “counterclaim” for a small amount of 524 000 rubles for a start, hoping that certain facts will be uncovered and criminal acts of OGIO and OCG participants will be exposed during the review of the “counterclaim”, which will provide ACM with a basis to initiate a criminal case against them and start a major lawsuit. Cunning representatives of the seized Salut JSC understood that YACONTO LLC prepared a trap for them, so they didn’t attend the meeting of the Arbitration Court of Moscow on 22.05.2001 and decided not to defend their false claim. On the same day they all disappeared from Moscow. YACONTO LLC planned to transfer the proceedings for intended bankruptcies of the Volgodonsk-located enterprises Salut JSC and Atommash OJSC to the Moscow Arbitration court. This was driven by the impossibility for YACONTO enterprises to achieve a fair and unprejudiced review of the case in the Arbitration Court of Rostov region (AC RR), because the activities of AC RR, police and Prosecutor’s Office of Rostov region were under control of Vladimir Chub, the Governor of Rostov region, and his “team”, including Tatyana Gramotenko. If YACONTO LLC won its “counterclaim” in ACM, the small amount of 524 thousand rubles in dispute would have increased together with the amount of damage caused to YACONTO LLC, Salut JSC and Atommash OJSC, equivalent to several billions of U.S. dollars. And the deal itself would have become a criminal trial of an unprecedented scale. Not only Vladimir Chub and Tatyana Gramotenko would have found themselves on the dock, but also those who stood behind those figurants in the Russian Government and the Presidential Executive Office. Prime Minister Mikhail Kasyanov, by his Order from 15.03.2001 №349-p awarded Tatyana Gramotenko with a Diploma of the Government of Russia “For great personal contribution to solving the issues of financial recovery and preventing bankruptcy of the Rostov region enterprises...” In March 2002, as a reward for a successful economic collapse of the Rostov region, the head of Russian Federal Service for Financial Recovery (FSFR) Tatyana Trefilova was actively trying to organize for Gramotenko a transition to a “gainful” assignment as Head of Inter-Regional Territorial Authority of Russian FSFR for Far East Federal District (FEFD). Having learned about Gramotenko's antics in the Rostov region, Konstantin Pulikovskiy, the Plenipotentiary Representative of the President of Russia, categorically rejected her transition to FEFD. Then Tatyana Trefilova and high patrons of Tatyana Gramotenko, violating the established order, found her a place of the deputy head of Territorial Authority of FSFR of Russia in Moscow. Upon hearing this, YACONTO LLC appealed to the Central Federal District, Moscow City Duma and the law enforcement agencies urging them to investigate criminal actions of Tatyana Gramotenko. In order to avoid the investigation, that “combat friend of the Rostov celestial” hastily resigned on 12.09.2002 and fled from Moscow, ostensibly in a direction unknown to Russian FSFR management. As it turned out later, she successfully settled in Rostov region. Russian nuclear engineering flagship Atommash OJSC and defense enterprise Salut JSC, like other strategically important Russian companies established in order to ensure Russia’s defense and security, needed real support from the State and stable orders, since they were not engaged in the production of alcoholic beverages and the export of Russian raw materials. Salut JSC and Atommash OJSC have been bankrupted by the same OCGO participants who destroyed Russian industry, agriculture and science, as well as its defense, security and statehood. If we conduct a thorough investigation and calculate the damage dealt by Chub and his “team members” from Rostov region deal to the region, its inhabitants and Russia as a whole, we see a crime of a gargantuan scale. The investigation will confirm the facts of crimes committed against the state, including treason, which together are subject to capital punishment. More detailed information can be found in the Letter of YACONTO LLC to Russian President Vladimir Putin (out. №80116-1 of 18.01.2008), which has been concealed from him. In 2008, while planning the itinerary of the candidate for President of Russia Dmitry Medvedev’s visit to Rostov region, his arrival to Volgodonsk city and visit to the former nuclear engineering giant Atommash OJSC were excluded from the agenda. All assets of this enterprise, as a result of the premeditated bankruptcy, were moved to EMK-Atommash JSC, of which the State didn’t receive a single share. Many former and current officials on federal and local level were dissatisfied with and frightened by the resignation of Vladimir Chub from the post of Governor of Rostov region, as a political decision of the Russian Government can lead to a total verification of the “fruitful work” of the “Rostov celestial” since the fall of 1991, when he was appointed to the post by President of Russia Boris Yeltsin – and not his alone. Unfortunately, today anti-state activities of the officials are not “rewarded” with capital punishment without any red tape. But for the sake of saving Russia from the destructive activities of the traitors of the fatherland there should come a time of imminent retribution for state criminals with capital punishment (not yet abolished in the U.S.). Otherwise, instead of the fatherland, its defenders will actually protect an army of corrupt official and their “business partners”, fortune-hunters and rogues, who, being in power or close to it, cynically seized the national wealth and subsoil of Russia, which belong to its multinational folk. Successfully developing China is a compelling example of a real fight against corruption.